According to Social Media Today, Facebook code hacker, Jane Manchun Wong, has stumbled upon a new option being tested that will provide Facebook Group admins with the ability to set up keyword mention notifications in their groups. This feature has not been confirmed or announced by Facebook as I write this, but if this does come to fruition, it could be a majorly helpful change for Facebook Group admins, especially brands. How Do Facebook Group Keyword Alerts Help Brands? Most likely, the intention behind the feature is to enable admins to more easily set up alerts for content that breaks platform regulations. However, there is much more potential use of keyword alerts than simply making sure people follow the rules. According to the Salesforce 2017 State of Service Report (the 2018 issue is due out in January), 54% of consumers expect businesses to respond to their queries instantly. Imagine how much stronger the customer experience will be when brands with Facebook Groups can set up a notification that empowers them to do so. With this new feature, you could set up alerts around common product/service questions your support team and be enabled to address them more quickly. You could also set up alerts for unhappy customers or group members with phases they’d likely say about your offering. This would allow admins a chance to get in front of a disgruntled customer before an entire thread of angry messages piles on. On the flip side, admins could also listen for happy customers based on typical conversations you already see. By making it easier for brands to identify happy conversations happening within their Facebook Groups, admins can reach out and ask for reviews or referrals with a warm reception. 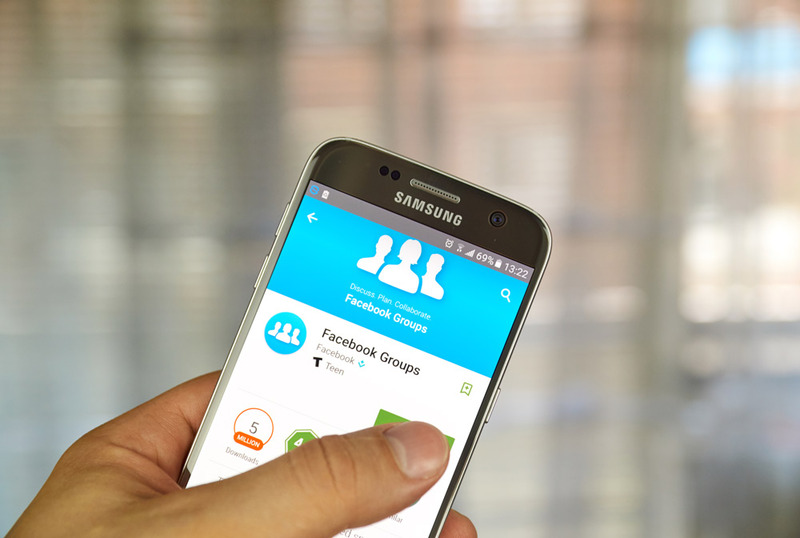 If customers are going into Facebook Groups, you can bet prospects are joining to get their questions answered and to get a true sense if your offering is the real deal. Admins could set up alerts for common prospect questions to easily find them and answer them with immediacy. Admins can also tag those within the company to provide better support - which could end up being a salesperson who could initiate the sales process if that prospect is ready. The customer experience starts well before someone becomes a customer and your social communities are a great way to start positioning the experience a prospect can expect to have with your company. No matter which application you use, the end result is likely the same -- an improved customer experience with more diligent attention and an improved experience for admins as they stay better apprised to the conversations going on in their groups. When Facebook will roll this feature out to the masses remains to be seen, but we’ll keep you posted!